Happy Friday, y’all. This week we have a stellar line-up of opportunities from our friends at Talenthouse and a reminder about the special incentive for Warner Bros’ favorite time-lapse video. Let’s get right into it. Annabelle Comes Home is the third installment of New Line Cinema’s hugely successful Annabelle films starring the infamous sinister doll from the Conjuring universe. Determined to keep Annabelle from wreaking more havoc, demonologists Ed and Lorraine Warren bring the possessed doll to the locked artifacts room in their home, placing her “safely” behind sacred glass and enlisting a priest’s holy blessing. But an unholy night of horror awaits as Annabelle awakens the evil spirits in the room, who all set their sights on a new target—the Warrens’ ten-year-old daughter, Judy, and her friends. To amplify the launch of the film, Warner Bros. Pictures is creating a first-ever poster/time lapse art activation leading up to this film’s release, and they want to collaborate with you. Artwork will potentially be featured across the film's marketing campaign, including social accounts, print materials, murals, and merchandise. Five (5) pieces of art will be selected by Warner Bros. Pictures and the Selected Artists will receive $2,000 for each piece selected. One (1) time lapse video will be selected by Warner Bros. Pictures and the Selected Artist will receive $3,000. The same piece cannot be selected for both the static and time lapse incentives. REMINDER: Artists are encouraged to submit time-lapse videos of their work as it’s being created. Whether that means setting up a camera to record live painting, or capturing your screen while creating your digital masterpiece -- Warner Bros is looking for videos to be featured on their social channels and possibly theater partnerships around the world! There’s even a special incentive for Warner Bros’ favorite time-lapse video which will receive $3k -- so showcase your creative process and submit! What if a child from another world crash-landed on Earth, but instead of becoming a hero to mankind, he proved to be something far more sinister? With Brightburn, the visionary filmmaker of Guardians of the Galaxy and Slither presents a startling, subversive take on the superhero genre. To amplify the launch of the film, Screen Gems (a Columbia TriStar Motion Picture Group, or "CTMG" entity) is creating an art activation campaign leading up to this film’s release. 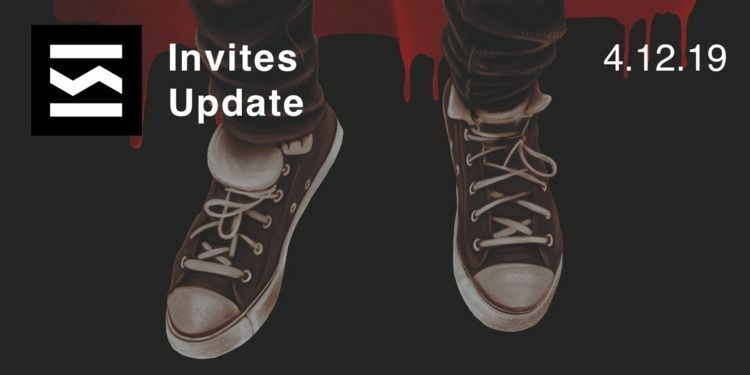 Artists, designers and illustrators from around the world are invited to create one-of-a-kind static artwork for Brightburn inspired by the latest trailer. Artwork will potentially be featured across the film's marketing campaign, including social accounts, print materials and merchandise. Five (5) pieces of art will be selected by Screen Gems or individuals that Screen Gems designates. The Selected Artists will receive $2,000 for each piece selected. Godzilla: King of the Monsters comes to theaters this Spring, 2019. The new story follows the heroic efforts of the crypto-zoological agency Monarch as its members face a battery of god-sized monsters, including the mighty Godzilla, who collides with Mothra, Rodan, and his ultimate nemesis, the three-headed King Ghidorah. When these ancient super-species—thought to be mere myths—rise again, they all vie for supremacy, leaving humanity’s very existence hanging in the balance. To amplify the launch of Godzilla: King of the Monsters, Legendary Pictures LLC ("Legendary") and Warner Bros. Pictures are creating an art activation campaign leading up to this film's release. Artwork will potentially be featured across the film's marketing campaign, including social accounts, print materials and merchandise. Five pieces of art will be selected by Legendary and Warner Bros. Pictures, and the Selected Artists will receive $2,000 for each piece selected. Season two of Marvel’s Cloak & Dagger is coming to Freeform on Thursday, April 4, 2019. We jump back into the lives of the title characters, Tandy Bowen/Dagger and Tyrone Johnson/Cloak as they use their superpowers together. To celebrate the season two premiere of the show artists, designers and illustrators from the U.S.* are invited to join this new world by creating one-of-a-kind static artwork** for Marvel's Cloak & Dagger. Four (4) pieces of artwork will be selected and may potentially be used in Marvel’s Cloak & Dagger marketing campaign. The Selected Artists will receive $2,000 for each piece selected. Ready to show us what you’ve got? Submit to all open invites here.